Do something extraordinary this summer! Registration for 2019 Summer Camps now open. Build skills, boost performance, make new friends, and have fun! Summer camp beginners develop a solid foundation of skills, while experienced fencers greatly improve performance. Using a wide range of bouting and fencing-specific games and drills, our programs develop coordination, concentration, self-esteem, resilience and integrity. By conquering physical and mental challenges, students build both confidence and technical proficiency. National gold medalists, World Cup athletes, and local champions will be on hand to fence with, and offer advice and guidance to, camp participants. Many past RIFAC summer camp participants have gone on to win regional and national medals; others now occupy top positions in the US Youth standings. Camp spots fill up quickly — register early to reserve your space! All students who register by May 1 receive a free camp t-shirt! There is a 10% family member and multi-camp discount. Snack, lunch and 2-3 drinks/bottles of water. Shorts, sweatpants, and sneakers (students can wear shorts during footwork, stretching and fencing-related exercises and games). Beginners: All gear will be provided. Experienced Fencers: Bring all fencing gear. Gear is provided for experienced fencers who do not yet own their own. Our most popular camp! 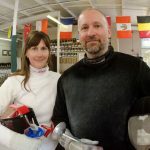 Designed to take beginner, experienced, and competitive fencers to the next level, this camp includes lots of fun, lots of challenge and lots of fencing (of course!) This is a great place to begin your fencing journey at RIFAC. Early drop-off starts at 8:30 am every day. Half-day camps are a great way to experience the same quality instruction of our full-day summer camp program in a condensed format. These advanced camps are designed to take experienced fencers of all weapons to the next level. Camps include intense physical training and preparation, footwork and technical drills, tactical exercises and instruction, psychological preparation, and bouting with top national junior and cadet fencers. HP I recommended for foil and epee fencers ages 10-15. Perfect for Youth/Junior Advanced, Club Team and RIFAC National Team levels. HP II recommended for foil and epee fencers ages 13-18. Perfect for Junior Advanced fencers, Club Team and RIFAC National Team levels. Please contact RIFAC for registration. 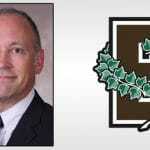 The Bears Elite Fencing Camp will offer competitive fencers from around the country and world an opportunity to work with Brown’s awesome coaching staff and elevate their fencing to the next level. With a special focus on mental preparation, participants will achieve improvement in footwork, bladework, tactics, and mental toughness while working with Head Coach Alex Ripa and the Brown staff, who approach training with a focus on athlete individuality. Want to join a class year-round?